Preview: England played the most lifeless game of the tournament against France. Yes, they go the result they wanted. No, they will not go far if they continue to play like that. Sweden, on the other hand, were poor for most parts of the game against Ukraine. I tipped Sweden to take the 2ndspot in front of England in my predictions about the tournament. However, they flattered to deceive and were well below par in the first game. That performance led to some in-fighting according to some reports. Captain Ibrahimovic was not pleased by the Swedes letting go the lead and ending up with zero points. He, allegedly, request for the coach to start Elmander for tonight’s game; as he feels more comfortable and supported with Elmander next to him. England need to desert their new found ‘pragmatism’ and attack the Swedes in this game. A negative game was accepted by the fans against a better French side. However, the same would not be tolerated against a rather feeble Sweden side. England do have the ability to take the ball forward and with speed. They have two of the Premier League’s fastest winger in Theo Walcott and Oxlade-Chamberlain, but so far Theo has not been called upon; and Chamberlain has been asked to do more defensive work than attack. 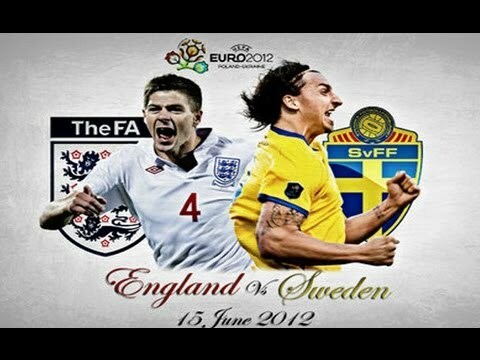 Sweden’s defense was very questionable against Ukraine and England should look to exploit the old centre back pairing. Both Mellberg and Olsson don’t have pace on their sides. England should look to use pace against these two. Wellbeck could play a very crucial part tonight for England. News coming in suggests that Andy Carroll will start at the expense of Oxlade- Chamberlain tonight, as England look to force the issue. This is rumored to be the only change for England tonight. 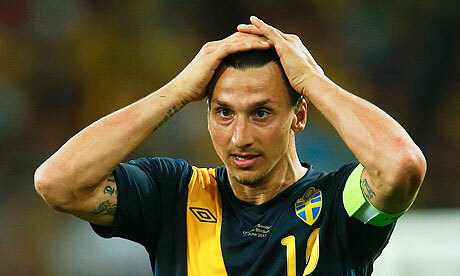 Meanwhile, Sweden might start with Elmander up front, supported by captain Zlatan. No injury worries for either team to report. Mellberg was below par in the last game against Ukraine. A player with his experience will look to put that behind him and start fresh tonight. He will be against the giant frame of Carroll; who himself is coming into the game lacking confidence. 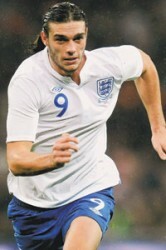 Carroll had a poor season at Liverpool and was under constant criticism throughout the year. His inclusion in the squad was questioned but England didn’t have many options with Rooney suspended. It is a big opportunity for Andy to silence his critics tonight. Two other heavily criticized strikers, Torres and Gomez, have proved their worth so far. It is time for Andy Caroll now. England may not be as defensive as they were against France, but, I’m still not convinced that they have enough rhythm as a team to score goals. Sweden might be better at set-pieces compared to France and England would probably not sneak a set piece goal again. I expect this to be another dull affair with no goals. England have never beaten Sweden in a competitive fixture. England beat Sweden 1-0 in a friendly in November, which was their first victory over the Swedes since 1968. Meetings in the World Cups of 2002 and 2006 both ended in draws. Four of England’s five efforts on goal against France came from defenders.